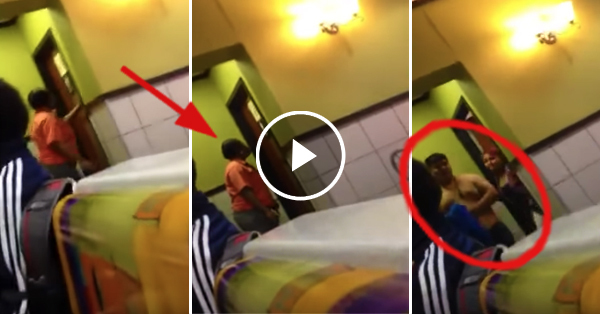 Young couple was caught doing something inside the rest room of a fast food chain! Embarrassing! Home / News / Young couple was caught doing something inside the rest room of a fast food chain! Embarrassing! More and more videos of people doing something in public places are being uploaded online. Because of the fact that they could not help themselves from satisfying and giving pleasure for themselves. An interesting video has gotten the attention of the social media users because of the unbelievable act that they have done inside the restroom of a famous fast food chain. It was taken inside the McDonald's. The manager was already furious of the fact that the couple had been inside the restroom for almost an hour. The other customers could not use the said room because they were too busy doing IT. When they were threatened that the store would be calling the police, they went out of the room. The man was shirtless and he was not even wearing his shoes.